How much does BrightEdge cost ? BrightEdge provides a custom pricing for their software. 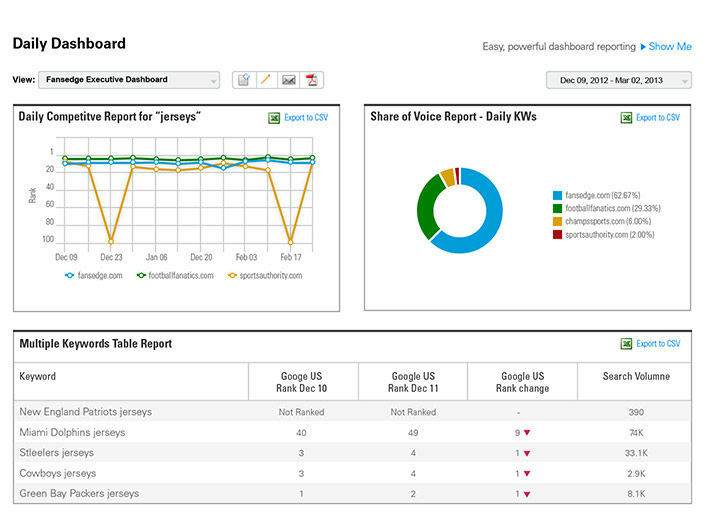 BrightEdge is an enterprise-grade SEO and content performance management platform Contact BrightEdge directly for pricing details. "The Golden Standard for SEO Research"
Data Cube is a fantastic tool that our team leverages on a daily basis. 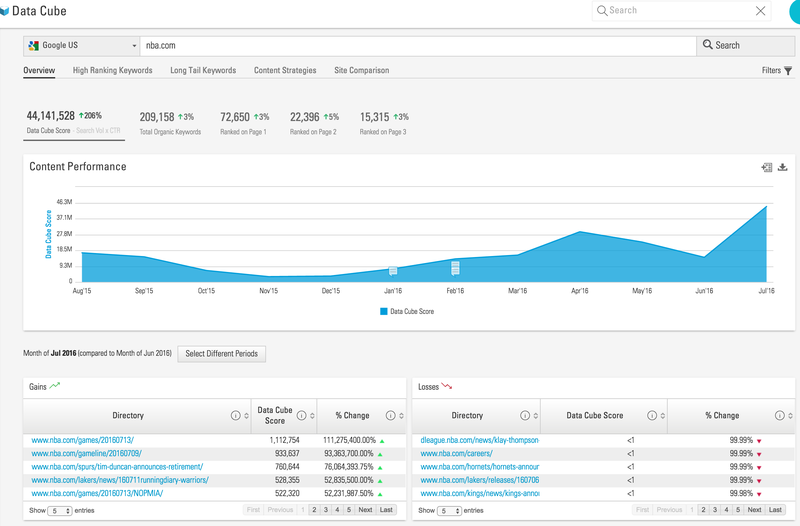 Overall, the platform does a great job providing rich insights for keywords and we are able to gain a holistic overview of how our website is performing, as well as how we stack up against competitors. The content feature is a great addition to BrightEdge, however, the tool can use further refinement. The algorithm behind the targeted analysis can perhaps be tweaked in order to capture more relevant headlines. BrightEdge allows us to tell a powerful story of how our brand is perceived in the search landscape and allows us to realize our potential and maximize our SEO footprint in the SERP. By closely monitoring and tracking keyword performance, we are able to clearly define goals and prioritize terms that will make the biggest impact for our firm. "Extremely usefull tool and support"
BrightEdge has teaching approach. They have guided us through strategy that has helped our website and has also made me a much stronger SEO professional. 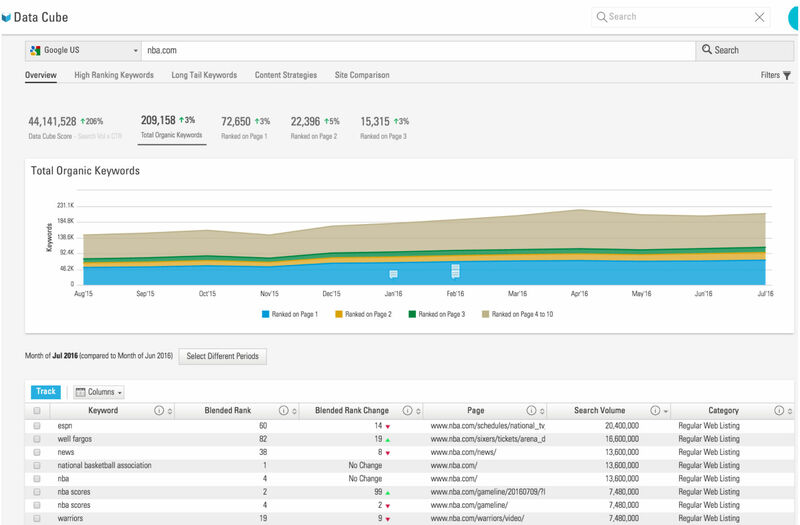 Our content strategy is much better now and this is being reflected in the data. SEO takes time. We are a large organization with a small team. I would tell other companies to expect the first year to be foundation laying. You will see some good results/wins in the first year. You will see a lot more results/wins if you lay a solid foundation and stick with it over time. 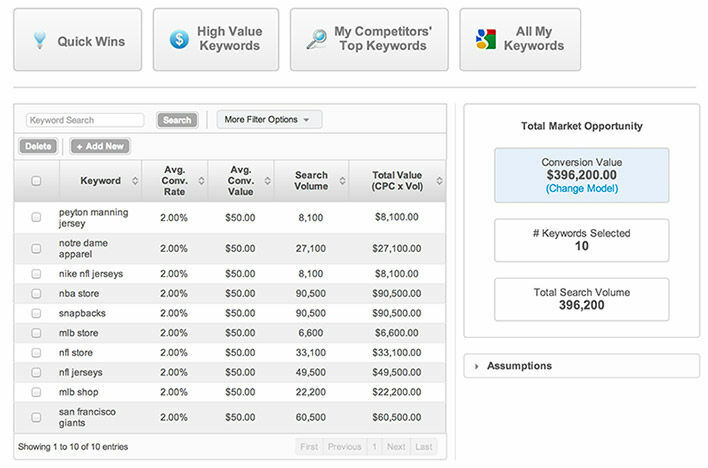 I wish you could select all service areas and pull local keywords from custom markets. This data is not available from Google in this way though, so it is not possible at this time. 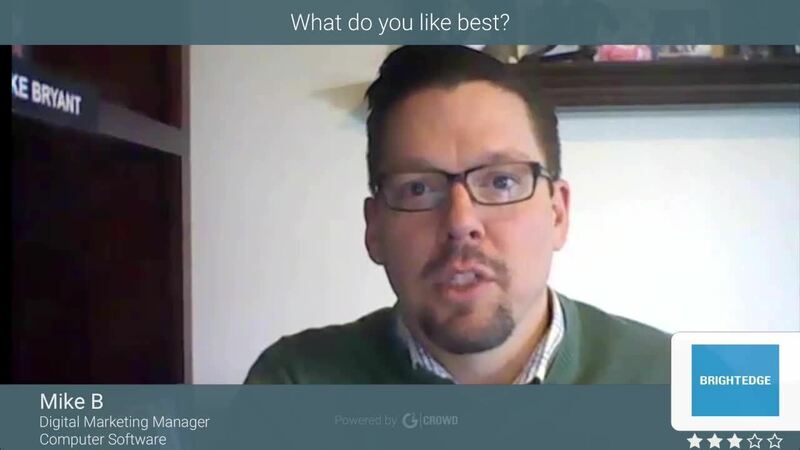 Plan to dedicate a content lead who can spend some extra time in this tools and working with BrightEdge within the first year to get the most out of it. We have realized the value of increasing efforts in the platform over time, but if you are able to carve out more time early on it is my experience that the data tends to reflect how much attention is given. 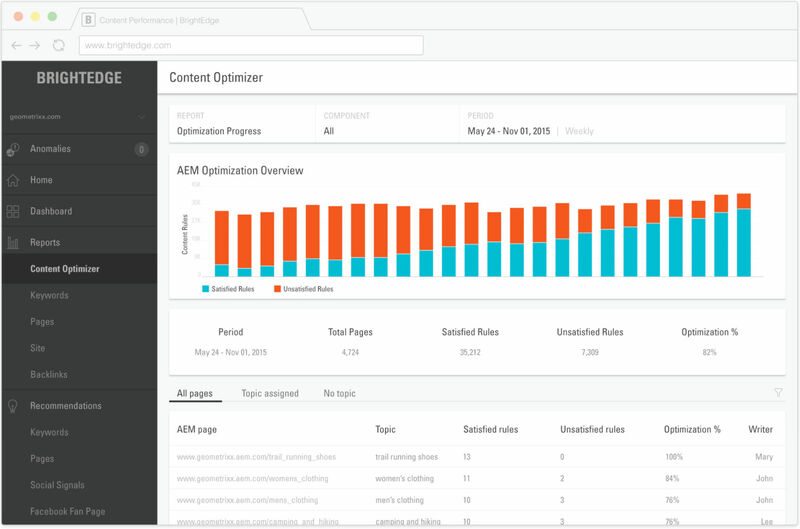 We are using BrightEdge to drive our content strategy. This gives us the ability to base our content on data, rather than creating content and then working backwards to see if we can boost results. It does also give us the ability to audit existing content and improve it greatly. At the end of the day, the biggest benefit is that we now have the data and ability to drive and back-up the decisions we want to make for the website. We are also seeing where we can make more technical improvements such as updates to our CMS or data-driven elements on a page. 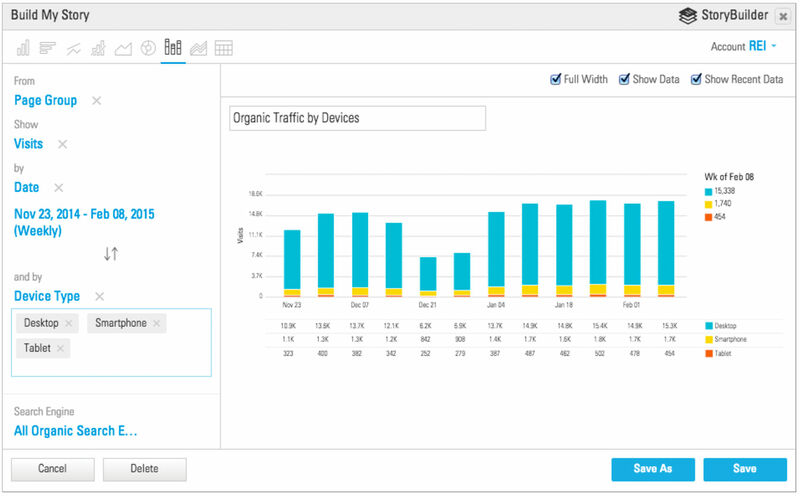 "A complete suite of tools for SEO"
"Data Cube is the best feature"
Data Cube provides so much insight into how your site/a specific page is doing! It is not the most client-friendly platform in terms of presenting. It is great to use but there are a lot of aspects to the platform that take a bit of work to get used to. There are several features that you need to practice with before getting the hang of. 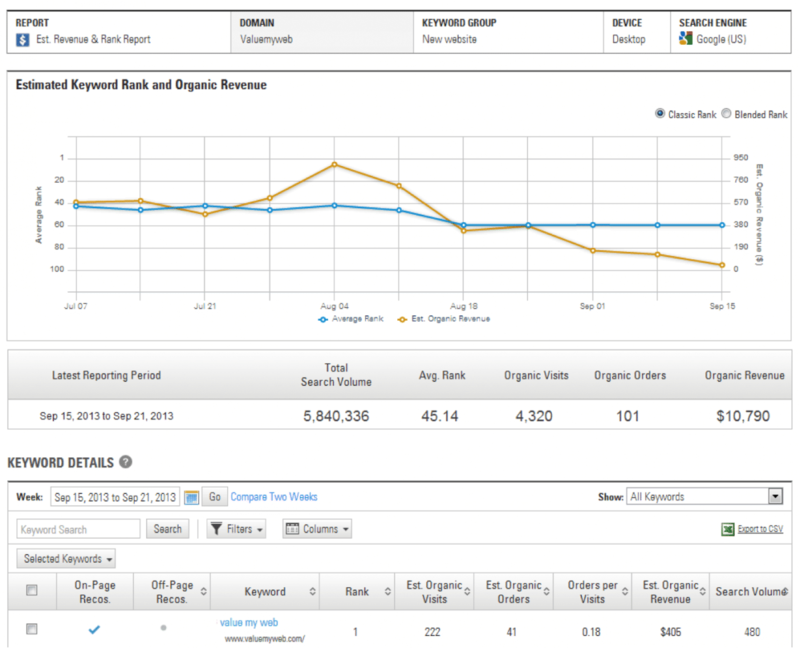 We are looking to what are pages are ranking for (not just what we are tracking). "Excellent Platform with Superior Service"
The forward-thinking this platform provides is among the best in the industry. Can be cumbersome to add in new keywords and groups. While not entirely a full-service SEO tool, it's helpful for content creation and SEO reporting. We use BrightEdge for reporting but also for opportunity forecasting. Being able to tell our clients what they can expect if they give us more time and resources is one of the biggest benefits. BrightEdge Content has helped our marketing team identify search opportunities and effectively create targeted content to address long tail search queries in a way that would have been impossible otherwise. At times, the workflow module within BrightEdge Content can be frustrating. We often execute content through contractors - communication and coordination can be clunky - this has improved as of late but we're still managing this outside of the system. That said, this is an SEO tool, not a workflow tool!